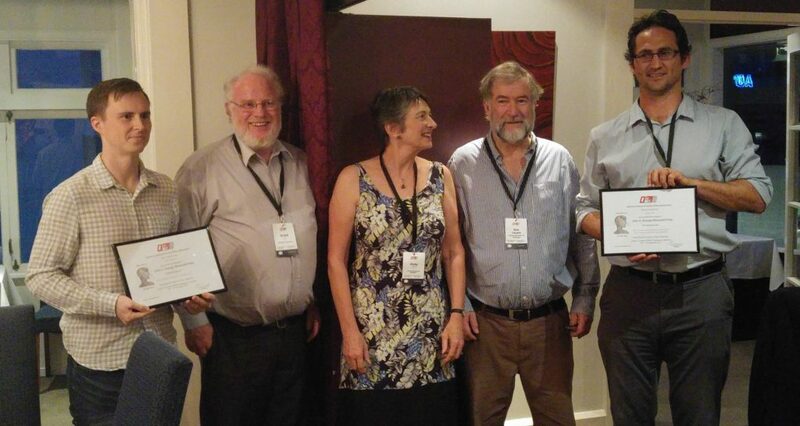 At the 2017 ORSNZ the first John Andrew George Memorial Prizes were awarded. This prize was established by Grant Read, Vicky Mabin, Bob Cavana, and John Buchanan in memory of former ORSNZ Vice President John George, who passed away in November last year. Samin Aref – Computing the frustration index in signed graphs using binary programming. Left to right: Samuel Riddler (JAG Award Winner), Grant Read, Vicky Mabin, Bob Cavana (judges), and Michael O’Sullivan (ORSNZ President).